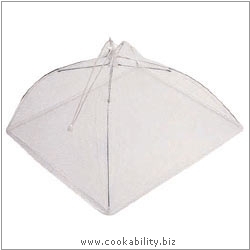 A range of white nylon food domes and covers. All have an umbrella type mechanism allowing them to be collapsed for easy storage. Great for picnic and barbecues.